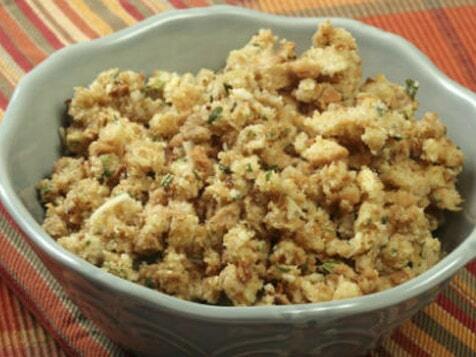 How do I buy a Logan Farms Honey Glazed Hams & Market Café Franchise? 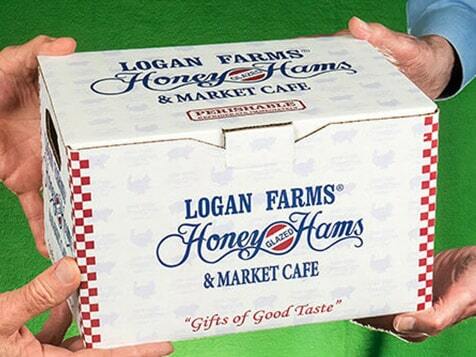 Logan Farms Honey Glazed Hams candidates have a minimum of $100,000 in available capital for each location they wish to develop. To help protect your investment, a cost-free third-party project funding assessment will be made available. Logan Farms has a total initial investment starting as low as $338,475, which includes a $30,000 franchise fee. A discounted and differed franchise fee for multi-unit development is available for qualified candidates. 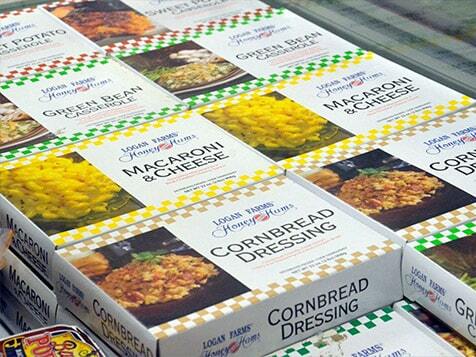 Join the Growing Logan Farms Franchise Family. Dedicated to the highest standards of sensible investment, we are committed to build on our leading honey glazed ham franchise with professional franchisees who are philosophically aligned with our passion for providing the highest quality honey glazed hams and gourmet meats possible. Learn more now! 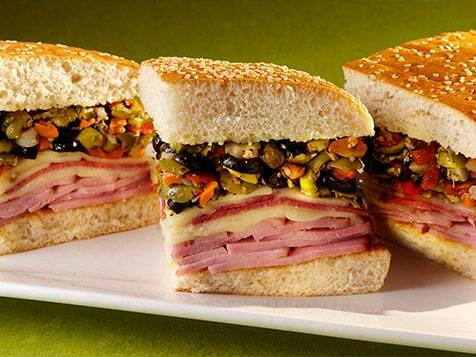 Open Logan Farms Honey Glazed Hams & Market Café in any of these available states: LA, TX. Logan Farms Honey Glazed Hams and Market Café is the originator of the low-salt, honey glazed ham. Due to the exclusive Logan Farms “lite cure”, our hams are approximately 30% lower in salt than other spiral-sliced, honey glazed hams on the market. Our fully cooked Logan Farms Honey Glazed Hams are hickory smoked, spiral sliced and baked with a thick and rich honey & spice glaze – a table-ready, gourmet ham that makes any occasion truly special. With the overwhelming consumer demand for our signature hams, we have expanded our private label to a full line of gourmet meats. 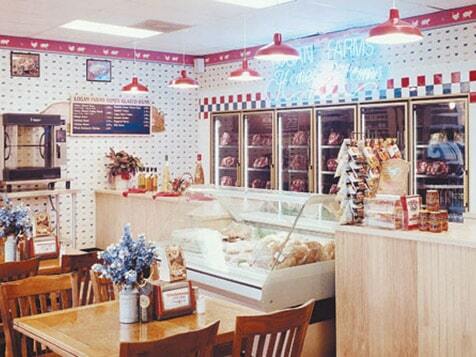 Our reputation for the finest quality hickory smoked hams, turkeys, smoked beef briskets and filet mignons has created a strong brand in the Houston market, as well as throughout Texas, Louisiana and Mississippi. 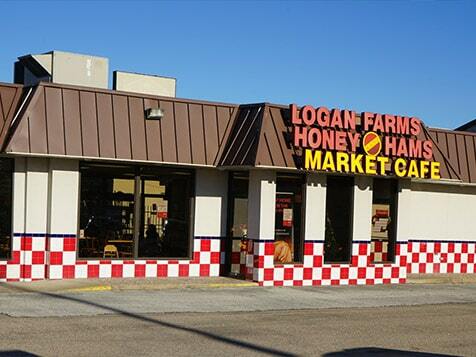 During the holidays, customers are literally “in line out the door” waiting to purchase their Logan Farms Honey Glazed Hams and other popular signature gourmet meats. At Logan Farms Honey Glazed Hams we select only the finest hams, then carefully trim and slowly dry cure them with a special low-salt recipe. 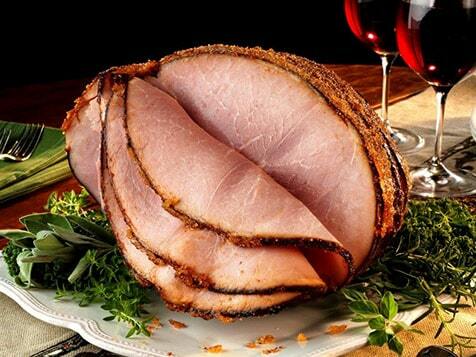 Each ham, sold in half and whole ham sizes, is then spiral-sliced around the bone to be ready-to-serve. 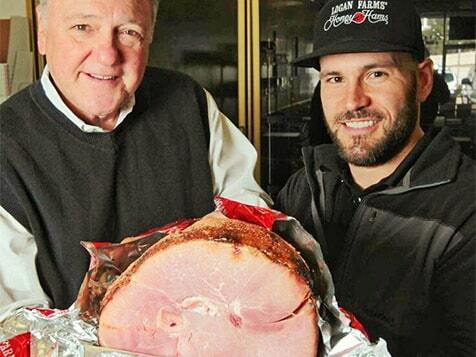 The finishing touch is our proprietary mouth-watering honey & spice glaze baked over the top of the ham. Jim Logan and his father Pink have grown from being a one-item operation, to now boasting numerous inspired menu delicacies. 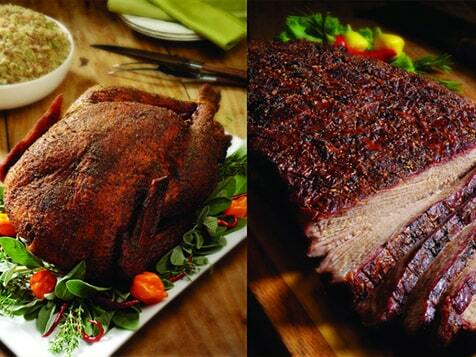 Some of our other specialties include hickory smoked turkey, smoked beef brisket, center cut filet mignons, Cajun spiced turkeys and smoked ribs. Participating stores also offer House Specialty Sandwiches as well as home style plate lunches prepared fresh daily, accented by our own in-house rotisserie chicken.